Named after a vicious dinosaur, its sound is no less aggressive. TherapSid has evolved to create roaring noises that will cut through your mix like razor-sharp claws through a mammoth steak. So why do you need another synth, since they already take 90% of the space in your room and your significant other keeps complaining about it?Well, what sets TherapSid apart from other SID based synths is its focus on control. Instead of getting confused by lcds and damaging your eyesight trying to read tiny sub menu fonts, this instrument features no less than 35 knobs and 33 buttons to give you full power over your sound. TherapSid is lovingly handcrafted in the south of France and packed with enough features to keep you busy until the next ice age. You can assign LFOs to knobs with one push of a button, you can also override the LFOs with analog control voltages. The arpeggiator is a lot of fun with its unique scrub feature. 100 Presets are included to get you started. TherapSid is compatible with all variations of the SID chip including 6581, 8550 (6582) & Swinsid and it is simple to install your own. 3 Oscillators, 4 waveforms per osc. Order includes 2 Midi cables, power supply, and free world-wide shipping. Until further notice therapSids no longer include a SID chip. We have ran out! 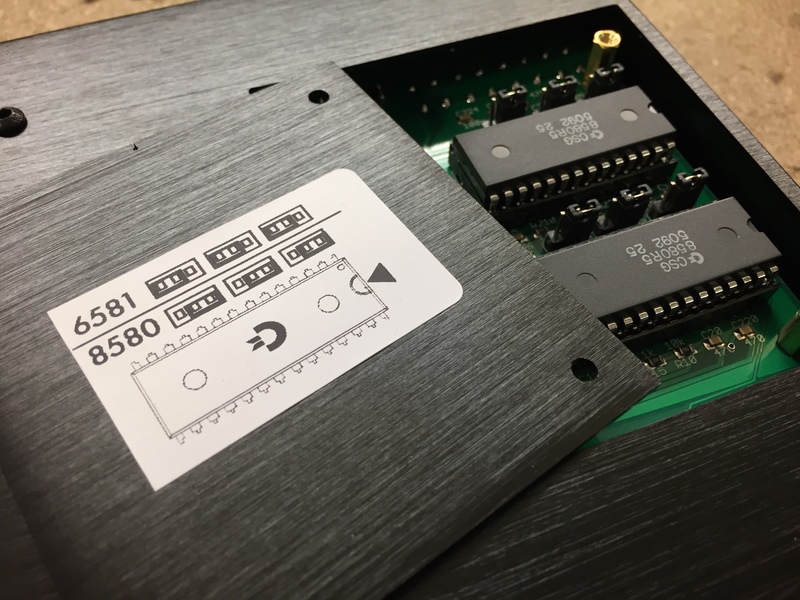 If you already have a SID chip, you are welcome to send send it to us to ordering and we’ll test and install it for you.